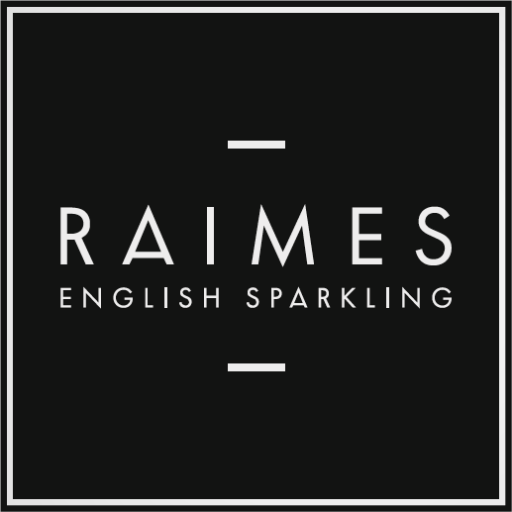 Mixed Case of 6 from RAIMES English Sparkling Wine. 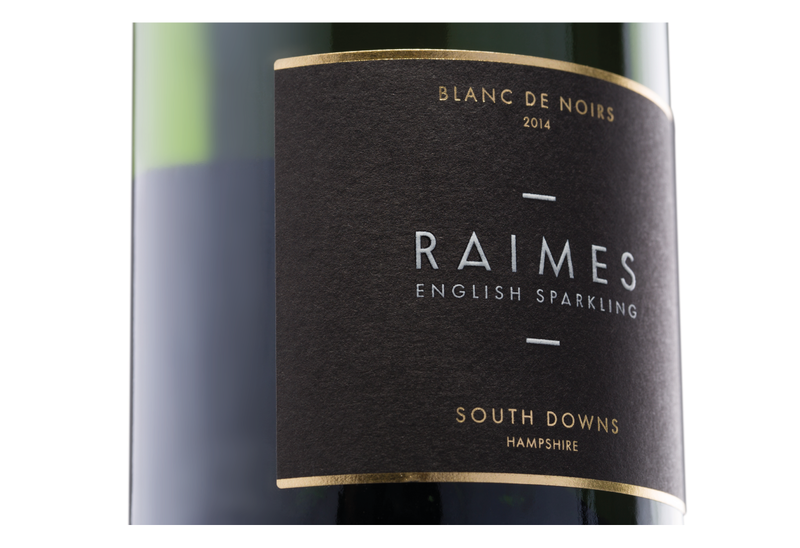 An elegant, pale gold, fresh and well-balanced blend of 69% Pinot Noir and 31% Pinot Meunier bottle-fermented in the traditional method. 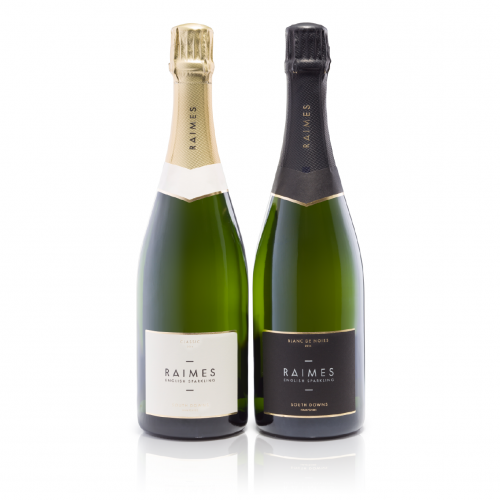 With fine bubbles and a smooth texture it is very easy drinking. 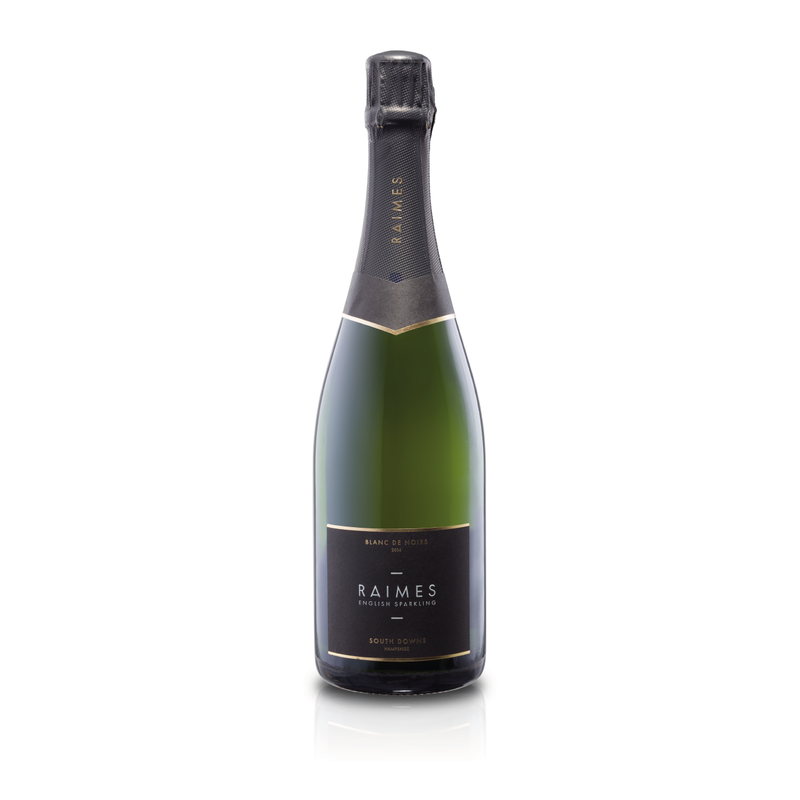 The nose has aromas of red apples, quince and almond. 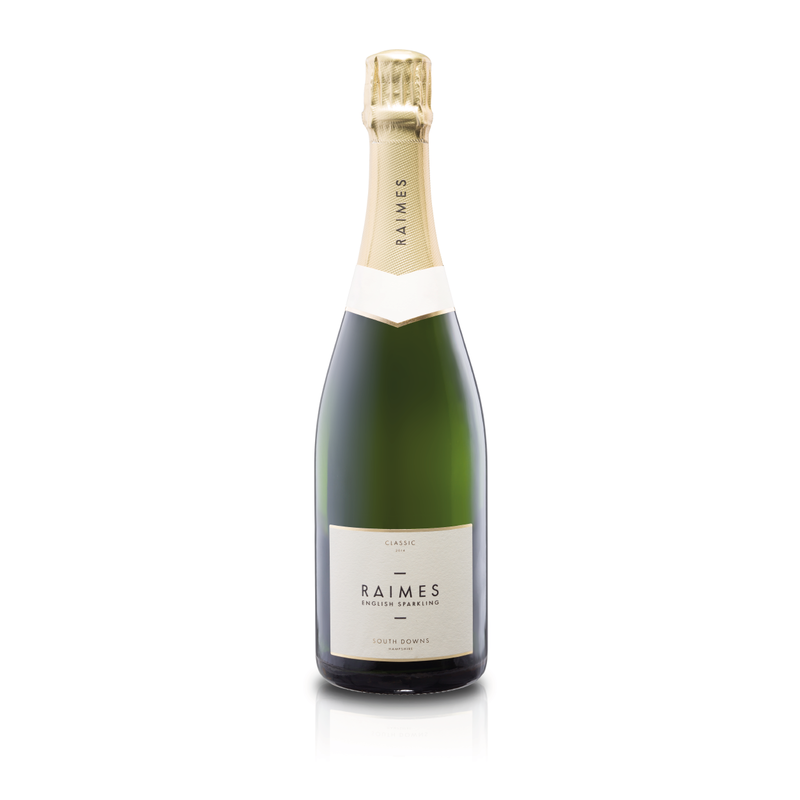 On the palate there is richness up front more red apples and a little redcurrant leading to a zingy finish of citrus that carries good weight. 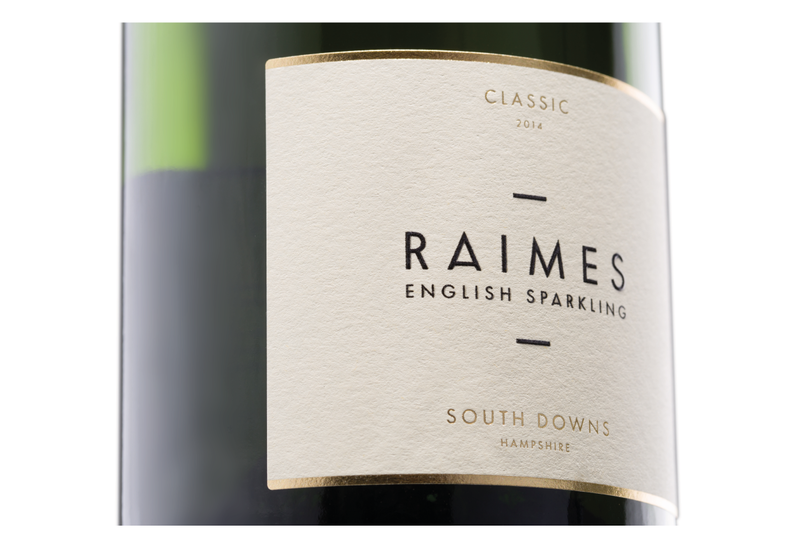 A stylish sparkling wine with a lovely texture. A carefully selected blend of the three classic varieties 51% Chardonnay, 29% Pinot Noir and 20% Pinot Meunier bottle-fermented in the traditional method. Partially fermented and aged in barrels giving it a fine soft mousse. 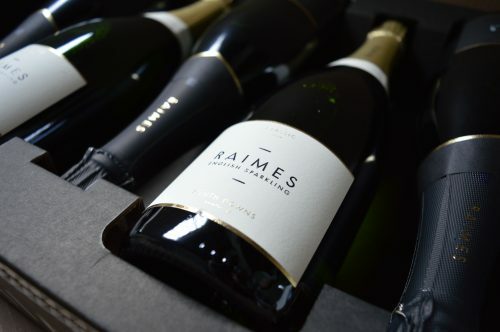 It is a well integrated wine with a hint of stone fruit character. Delicious, easy drinking and elegant. Flat rate delivery of £10 on all orders. There is the option to collect your order from the cellar door if you are local. Buying as a gift? Enter your message in “order notes” at the checkout and we will pop a card in with your order. 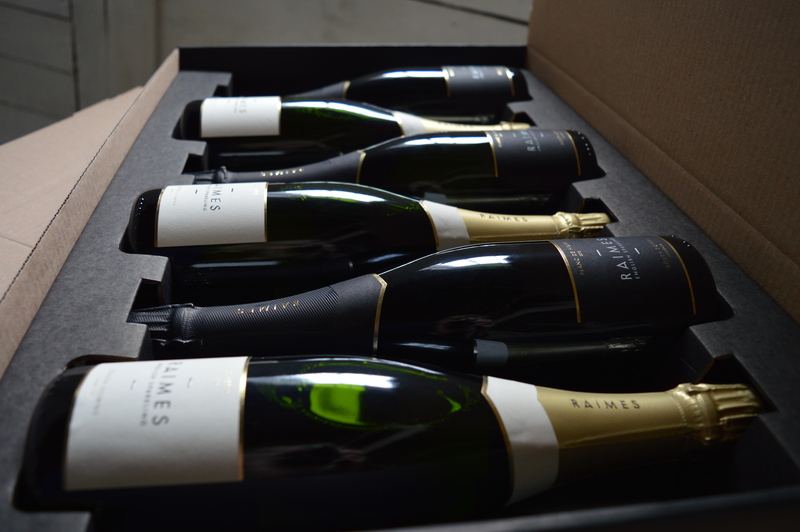 3 bottles each of our Blanc de Noirs and Classic, beautifully presented in a mixed case.